Here are the great deals Stampin' Up! has for you this week. 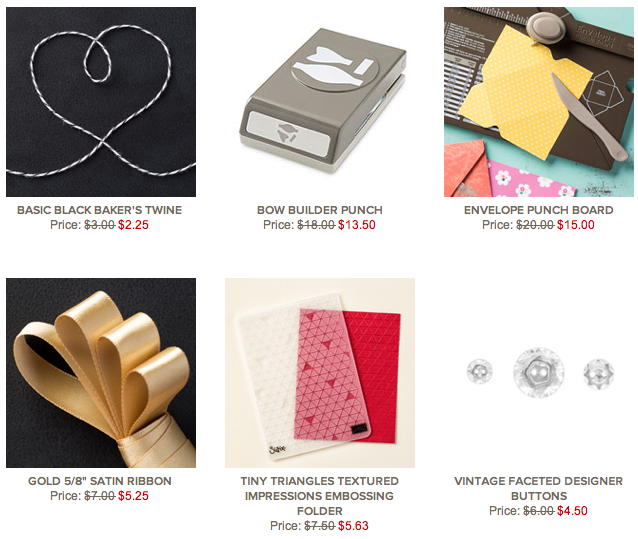 My two "must have" items from the Weekly Deals are the Bow Builder Punch and the Envelope Punch Board. So many great things can be made with the Envelope Punch Board besides envelopes.